This project consists of painting, incidental repairs and other minor improvements to the ramp from the northbound I-95 service road onto the Acosta Bridge. The contractor is Southeast Bridge Florida Corporation. 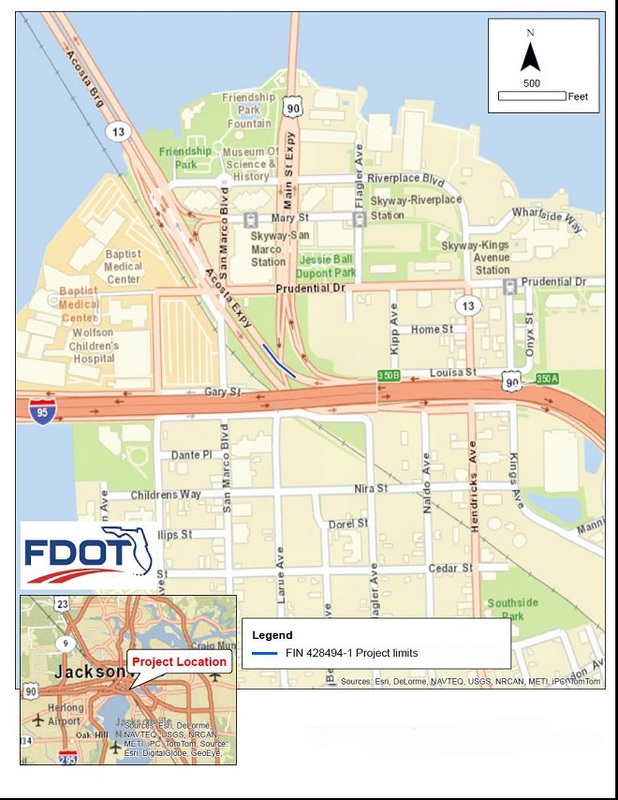 Traffic will be maintained in accordance with FDOT design standards throughout the project, and existing posted speed limits will remain in place. Most project work will take place overnight, seven days a week. No lane closures will be permitted between 5:30 a.m. and 7:30 p.m. Monday through Friday.